A European Rail Traffic Management System (ERTMS) is being deployed nationally on the UK rail network by 2025. CPC has been appointed to support the procurement and delivery, for first-in-class design and fitment, of the European Train Control System (ETCS) to four train classes owned by three rolling stock operating companies (ROSCOs). 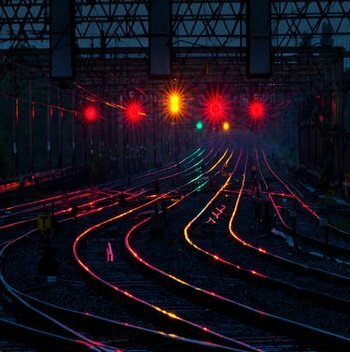 The National Joint ROSCO Project (NJRP) is responsible for the roll-out of the ETCS which will bring signalling from ‘on-track’ to ‘on-train’ across the UK rail network. The fitment of ETCS includes four sub projects and a three tranche procurement strategy to complete the programme by 2025. The strategic direction of the programme is enabling Value for Money (VfM) to be delivered and stimulating competition and innovation from suppliers by allowing multiple “entry” points for new suppliers. Our team has developed the Programme Execution Plan and programme and project templates to manage and report on risks, issues, budgets, scope, programme, planning and change. We are employing collaborative engagement with stakeholders leading other workstreams in the National Digital Railway Programme to ensure best practice, resource balancing and risk and knowledge sharing. To date, the project team have placed 2 major contracts with a third and fourth due for completion in 2018.